Cameras catch brazen 'distraction theft' in Cookstown, Ont. Police in Ontario are looking for seven people who they believe teamed up to distract a convenience store employee and stole about $1,000 in cash. The suspects’ brazen tactics were caught on surveillance camera footage. Video camera surveillance shows five women and two men enter the store. 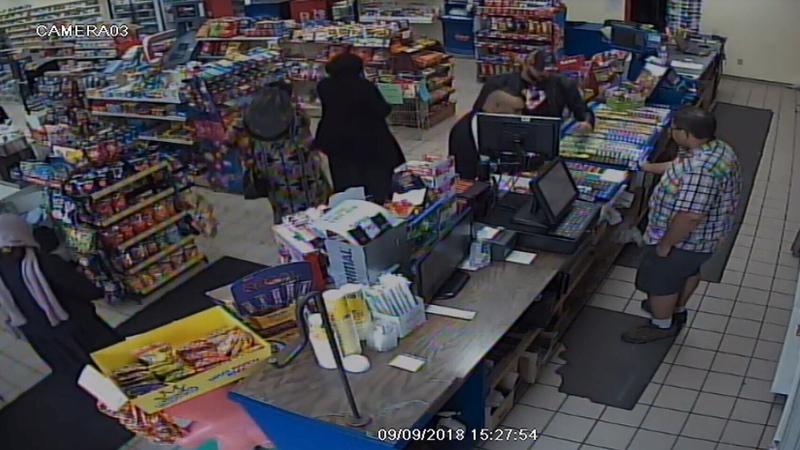 The two men can be seen going straight to the front of the store and asking about lottery tickets while three of the five women can be seen heading to the back of the store. Two of the women can then be seen blocking the third woman from view as she sneaks into a back office. A camera in the office captures the woman trying unsuccessfully to open a locked safe and then searching around. The woman comes across a bag of cash and coins, puts it under her skirt and walks out. “They kind of overran my employee by keeping him extremely busy and distracting him,” says store owner Charlie Brown. Brown added that his business is a family business. “This isn’t Wal-Mart,” he said, before choking up. Police say the suspects left the scene in a white van. 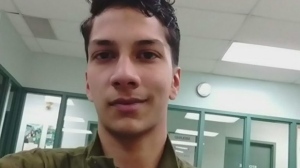 They are asking anyone with information to contact them at 905-775-3311 or 705-436-2141. Those who wish to remain anonymous can contact Crime Stoppers at 1-800-222-8477(TIPS). Surveillance cameras capture a distraction theft at Charlie Brown’s Variety in Cookstown, Ont.